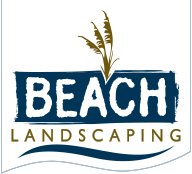 Many people concentrate their landscaping efforts on the spring and summer. A Fall garden will add color and longevity to your homes curb appeal and your pleasure when sitting and enjoying the outdoors. There are many options available in a fall garden -Ornamental Grasses & Ornamental Plants bring the most interest. A Fall garden brings different colors than a summer garden. Vibrant yellow, oranges and reds will change your landscape and brighten a dreary day. Mums are hardy and will last for several weeks; the color variety is what makes the garden pop. When you plant a fall garden adding ornamental cabbage and kale will add interest and texture. The purplish hues in both plants bring depth and interest to a flower bed. These plants are often used as edging or in containers due to their growing low to the ground. You can grow from seed or buy as a plant. When you purchase the plants there is no wait for it to bloom, the leaves are the bloom. As the weather cools the colors in both plants will deepen and intensify. They do well in full sun or partial shade, here in coastal Carolina they will color up better in shade. The shade allows for the cooler temp needed to encourage full color. In our climate these plants will last through the winter, bringing your garden to the Spring season. Using these plants in a landscape with decorative rocks is another idea. Planting between rock shelves they bring color and drama where there is none in the cooler months. You will be pleasantly surprised by what these plants bring to your landscape as the months go by. Both Ornamental Kale and Cabbage are bred for color but are edible. Their taste and tenderness will not be the same. We’ll be discussing other ways to bring your 2 season garden to a 4 season garden in coming blogs.